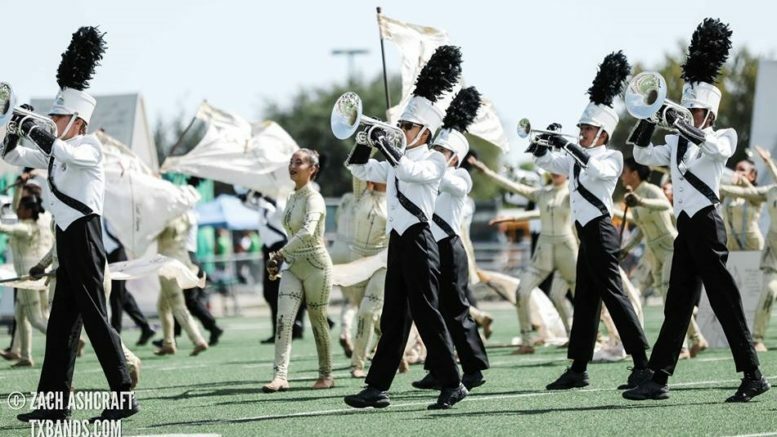 The Coppell High School Varsity Marching Band kicked off their 2017 competitive marching season at Saturday’s Dallas/Ft. Worth Bands of America Regional Championships held at Carroll High School’s Dragon Field on Sept. 30. The Coppell Band’s 2017 marching program is “Haute Couture” and features music from Beethoven, Gershwin, Ron Nelson and Madonna. The band’s performance in the preliminary round earned a place in the finals round, where the band competed with top bands from across North Texas. Their performance led the Coppell band to an 11th overall finish. Coppell will compete Oct. 8 in the Houston BOA Regional competition held at Woodforest-Bank in Conroe, Texas.